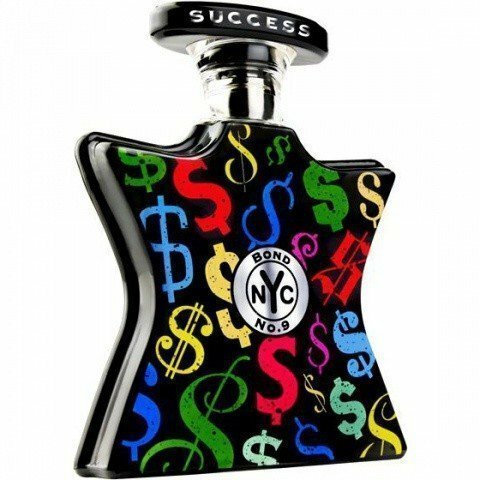 Success is the Essence of New York is a popular perfume by Bond No. 9 for women and men and was released in 2009. The scent is sweet-gourmand. The longevity is above-average. It is still in production. I couldn't wait to have a shower and spritz this on. This is only the second Bond scent I've tried, the first being a decant of Little Italy that I received in the spring. As a self-described shop-a-holic I have to confess that the expensive price tag on the Bond No. 9 perfumes are even too steep for me! That's why I only have samples and decants of some of their fragrances. I really wanted to try this one because I'm a big fan of vanilla and I like perfumes that are unisex. I find them less macho smelling which is what I prefer. This scent did not disappoint me. I really like it a lot. 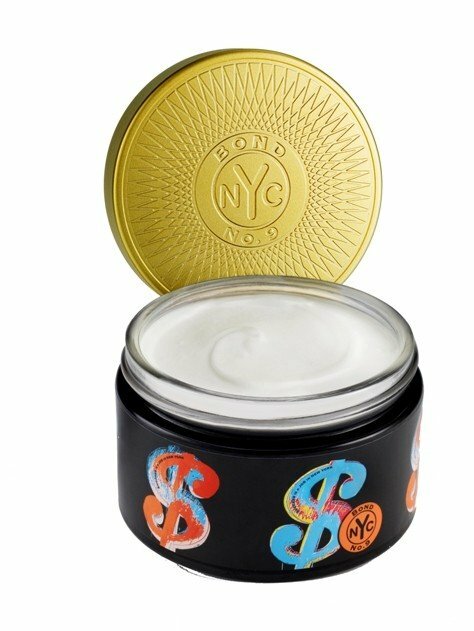 It's smooth and expensive smelling and I love the vanilla within. It does smell more on the feminine side than masculine but it's so nice that I really don't care. I'm so grateful that I was able to purchase a decant of this for a reasonable price that I could afford. I will use it sparingly to make it last as long as possible! Beautiful fragrance! Curiously, I don't smell either of them in this composition, which comes off more as a creamy white floral than a minor spice-fest. In actual fact, Success pretty much skips it's entire range of top notes on my skin and dives headlong into what makes me quite weak at the knees in a fragrance ... TUBEROSE ... with great big creamy lashings of Vanilla and heaps of Patchouli thrown in for good measure!! I also get the 'strawberry jelly powder' that some people mention ... but it's a little more tangy than it is sweet and provides a nice foil for everything else here that is completely saccharine overloaded :). This is one of those situations where Tuberose rides completely roughshod over anything else that vaguely resembles another floral, mercilessly thumping them into submission. I LOVE IT!! There ... I've said it ... about a Bond no.9 frag no less ... but it's true!! This is going to haunt me because I still don't think it's worth it's ludicrous MSRP. I'll have to take the advice of some of my learned friends on Parfumo and hunt down a bargain :). This creation is definitely a diva of the first order ... believe me when I say that the way I spray fragrances I will probably be clearing rooms! The sillage and longevity here are both above average ... some may want to approach with caution :). I find this frag stupidly named and the bottle quite hideous. Apart from those issues I think I'm going to have loads of fun driving myself crazy with it's procurement teehee ... how exciting!! No Job in New York for Me, Thank You All the Same! Bond no 9 ANDY WARHOL SUCCESS IS A JOB is a strange creation. It's not really oriental, and it's not really chypre. It's not fruity floral, and it's neither woody nor aromatic. It seems like another boardroom strategy table effort (cf. Bleecker Street) to come up with something--anything--new. That said, I must confess that I like SUCCESS, in spite of itself. The fragrance opens with the tiniest bit of pepperminty freshness--similar to what I detected before chez Bond no 9, at the opening of WESTSIDE, except that there it was cinnaminty--which then becomes slightly sweet and powdery like its brethren BRYANT PARK, LEXINGTON AVE, and CHINATOWN. This I attribute to the modern patchouli presentation unique to Les Bondeurs. But rather than developing fully into that oh-so-yummy sweet chypre, SUCCESS suddenly veers again to form a complex with a pink powdery aspect. Some have identified this stage as empirically indistinguishable from "strawberry jello powder," a referent phenomenologically unfamiliar to me. The closest thing to this in my experience may be Tums quickpak berry powder. It's definitely not as sweet as pixie sticks, nor the powder accompanying lick'em sticks. It's much closer to, well, like I said, Tums quickpak berry powder. So here's my take: you need to have fresh breath during your interview for a job in NYC, and then once you've landed one, you're going to need serious Tums to keep it, not to mention the stress of living in NYC, with all that that implies, including $3K monthly rent for a 300sq ft studio fully equipped with the modern kitchen convenience of a hot plate next to the toilet. Against all objective perfumista criteria, I somehow like this one, too, though I probably won't be adding it to my collection anytime soon. Write the first Review for Success is the Essence of New York!